When in view, the Moon is the brightest object in the night sky. It is also our only natural satellite. But how did this gorgeous Moon form? Unlike the Moon itself, the formation wasn’t pretty. Through astronomical research, geological research, and missions to the Moon, scientists believe it was created during the formation of our solar system. 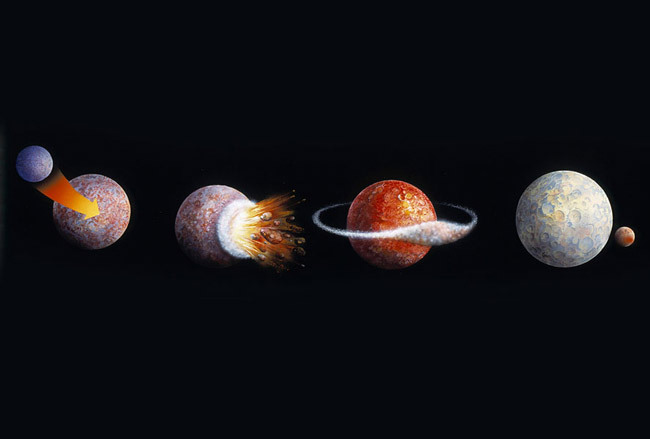 This was a very turbulent time with hundreds of proto-planets smashing into each other, forming even larger planets. It is believed that one of these monumental collisions occurred to our young Earth. The collision was so massive that if the incoming object had been any larger, Earth may have been destroyed! 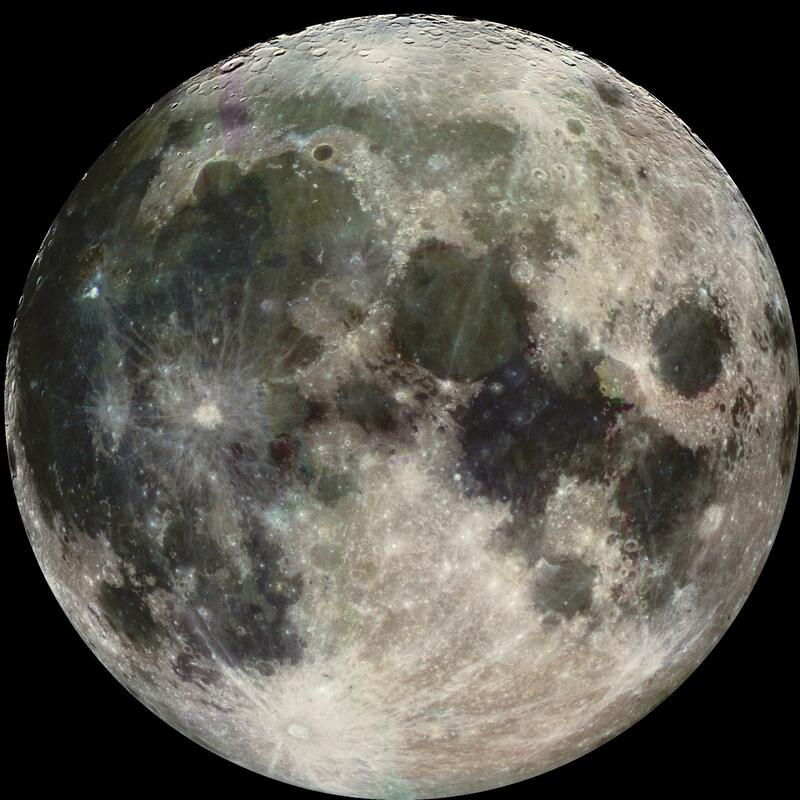 As a result of this massive impact, particles from Earth flew out into space and gathered together to form our Moon. The diagram below gives a visual representation of this process. It’s fascinating to think that our Moon is actually a piece of Earth, a piece of home.